Arrive at Jaipur airport/railway station and you are transferred to your pre booked hotel. Check in the hotel and relax for some time. Later visit to the famous City Palace. This palace, built by Sawai Jai Singh II, serves as the residence of the royal family. Within the premises of this palace, there lies Mubarak Mahal, Chandra Mahal, Pitam Niwas Chowk, Maharani Palace and many more places to explore. Then visit Jantar Mantar, which is listed as a UNESCO World Heritage Site. This magnificent stone observatory is a major attraction for among tourists. In evening return back to the hotel. Overnight stay at the hotel. After Breakfast check out the hotel and proceed to Jodhpur. On arrival at Jodhpur check in the hotel and relax for some time. Later visit Mehrangarh Fort. This fort is built on a hilltop at a height of approximately 400 feet above the city. A palace inside this fort, known as Sheesh Mahal, is adorned with exquisite mirror work and is a major attraction of this fort. Also, a visit to the museum provides a glimpse of the bygone era. After exploring this magnificent fort, visit Jaswant Thada. An epitome of architectural excellence, this edifice is built using extremely thin sheets of marble. A lake and a beautiful garden add to the beauty of this place. After exploring return back to the hotel. Overnight stay at the hotel. After Breakfast visit Nakki Lake and adore the picturesque views. This is the only artificial lake in India, which is situated at an elevation of 1200 metres above sea level. You can enjoy a stroll from the main market to Nakki Lake. In evening enjoy boating at Nakki Lake and admire the beautiful sunset from the Sunset Point. Later return back to the hotel. Overnight stay at the hotel In Mount Abu. 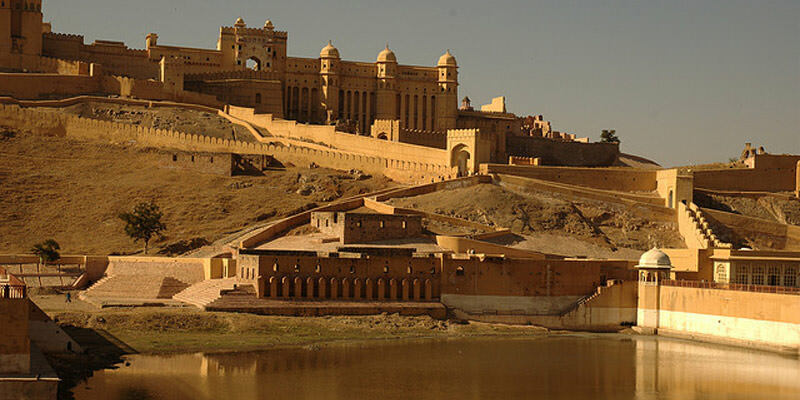 Today is last day of of your Scenic Rajasthan 5 Nights Package . Later check out the hotel and you are transferred to airport/railway station to board a flight or train for your onwards journey. If you are not able to make up your mind from the tour itinerary or hotels listed above in "Explore Scenic Rajasthan 5 Nights Package", then we can also make the changes and provide a customized, tailor-made vacations, especially for you. We can modify this tour package as per your date and budget.